I started decorating before Thanksgiving and as of today, I’m still not done. *insert shameful eye-covering monkey emjoi* Transforming the house for Christmas is truly a labor of love but each finished area makes me so happy. 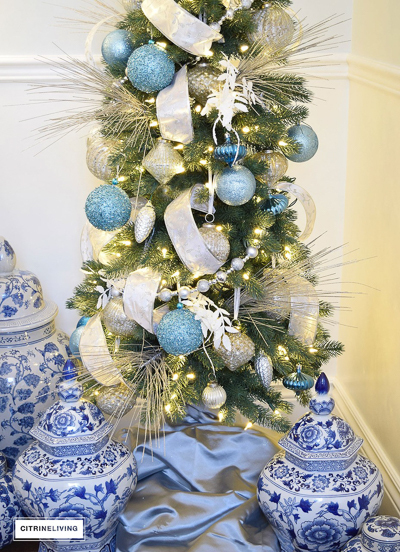 So today, I am ecstatic to finally share two of my five (yes, FIVE) Christmas trees for the Parade of Christmas Trees! Spoiler- they are my favs so I hope the rest aren’t anticlimactic when I launch them next Tuesday for my Christmas Home Tour haha. 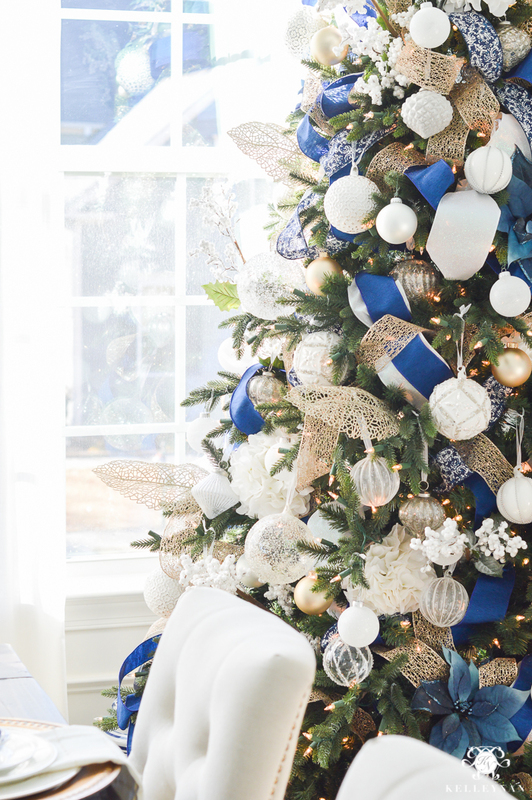 As a special bonus, three of my best bloggers and I have partnered together with Balsam Hill, to showcase eight trees total. 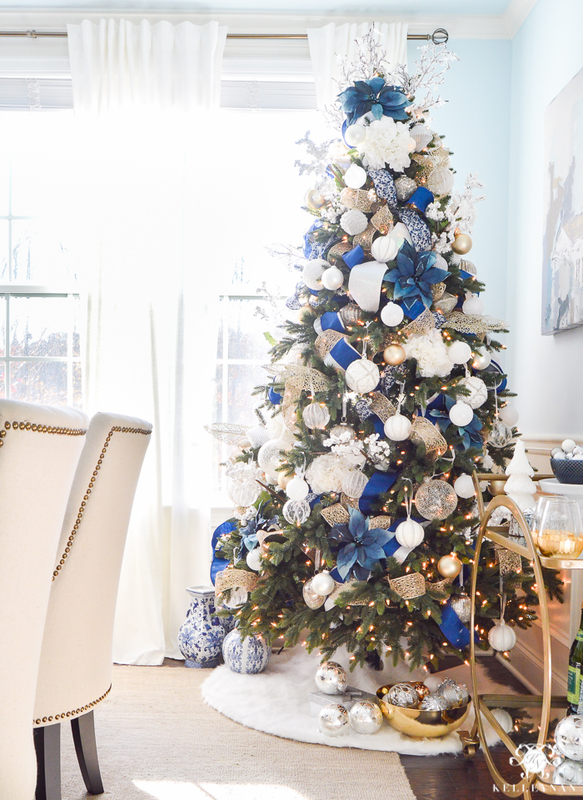 At the bottom of my post, I will send you on to the next home, featuring two uniquely styled trees. You can continue the loop between the four of us and will hopefully finish with some fresh ideas for the season. If you are joining me from my friend Tamara’s blog at CitrineLiving, wipe the drool from your chin before we go any further. Done? Good 😉 Tamara and I both adore neutrals, but she masters subtle pops of color and pattern. She is a true designer and artist. I decided to take a little different approach with the two trees I am sharing in the Parade. 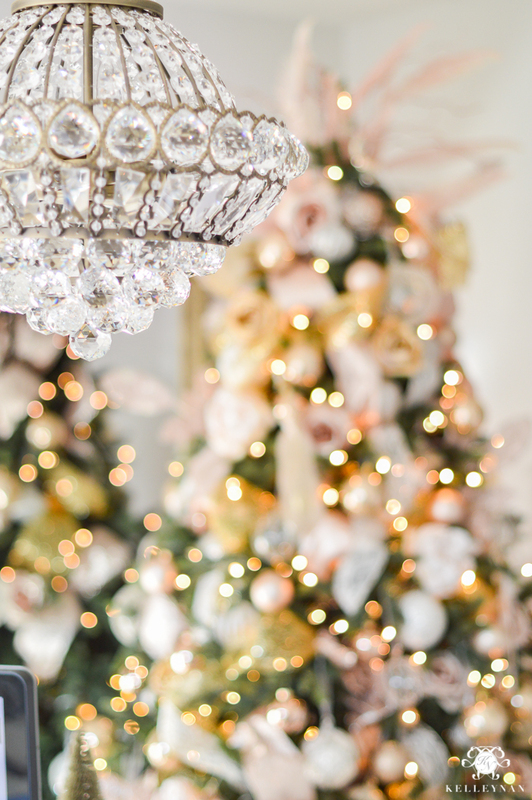 I opted for the Balsam Hill 7′ Saratoga Spruce, one decked in clear lights in the dining room and the other with candlelight LED lights in the office. 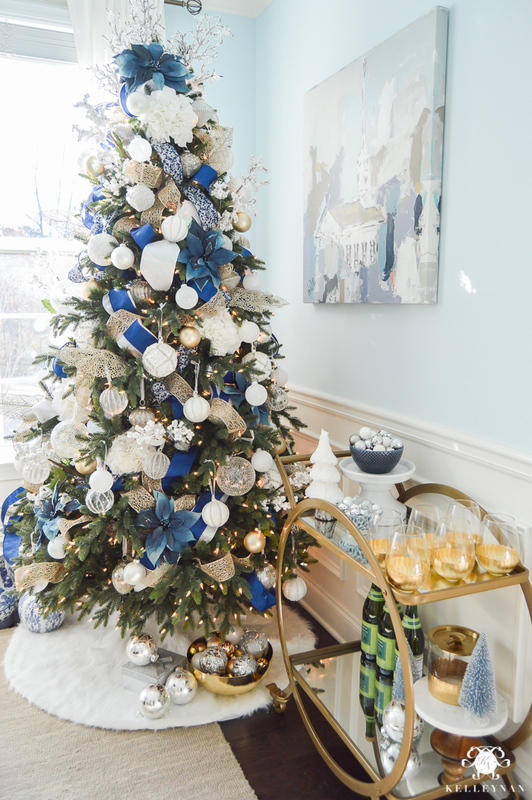 Two trees of the same height, style, and the same Balsam Hill ornaments with two totally different outcomes. I recently revealed my office makeover (HERE) which is composed of neutrals and calming tones. 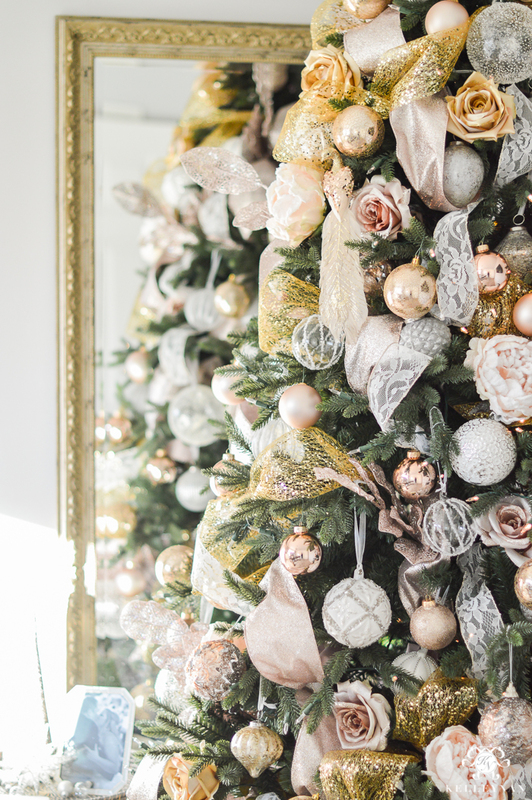 Because of this space, my dream of a blush toned tree became a reality. We have glitter everywhere in the house but because this space is mine, I felt like I could go over the top and get as girly as I wanted. Lace, roses, pinks, and even a few sequined peacocks are tucked in my little corner of happiness. 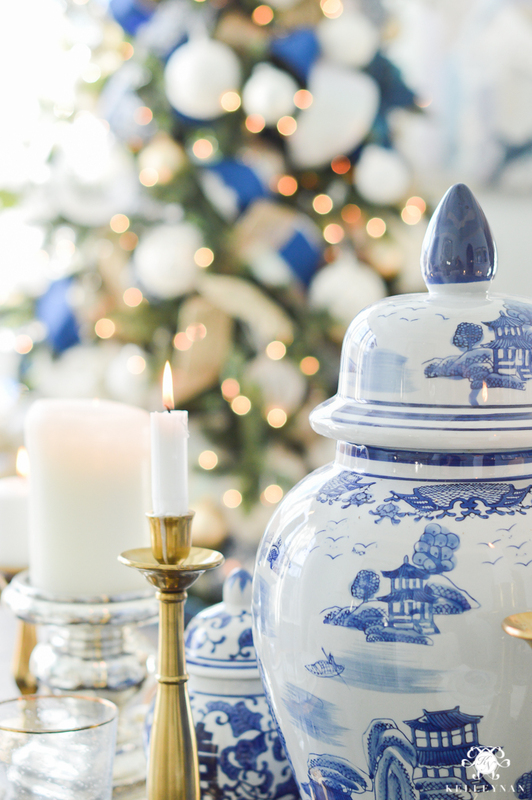 And, while I have several cheap “filler” ornaments, the beauties I received from Balsam Hill are 10 steps beyond anything I owned… and that made all the difference. 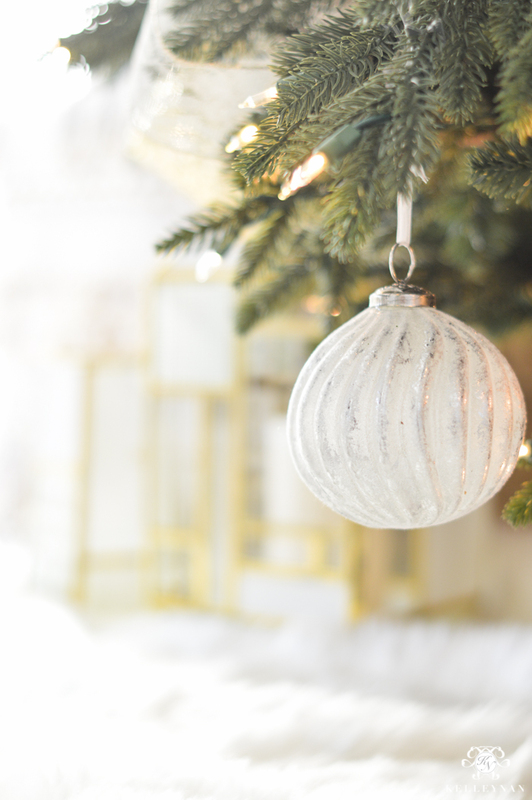 Nice ornaments are an investment. But, think of garland. You can use faux garland as a nice full base, mix in some live greenery and it makes the fake stuff rise to the occasion. I view “filler” ornaments the same way. Invest in a few nice pieces and they help the standard blend in. 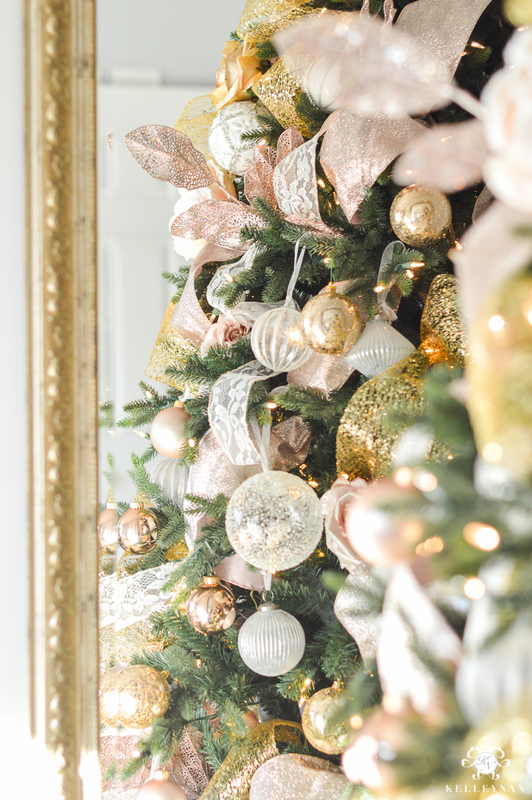 Ok, if I had known how much I would have loved having a mirror behind the tree, I probably would have run out and hauled four more home to go behind the other trees! This was an unexpected treat when I set the tree in this spot. Confession- these boxes are empty! 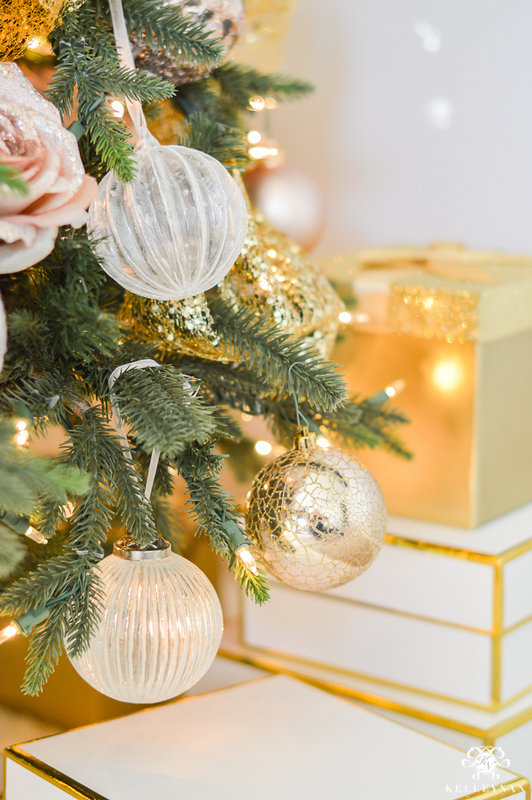 We actually keep all the gifts under our main tree in the great room but arranging them under other trees until they are used is way better than stashing them in the closet. Added convenience- I wrap in my office so it makes total sense. 😉 Another confession? While we don’t recycle used wrapping paper, we are pretty thrifty with our “nice” boxes. I will paper and put the prettiest bow you’ve ever seen on gifts for others but the boxes are only exchanged in-house so we can re-use them year after year. I set up my second Balsam Hill 7′ Saratoga Spruce in the dining room. The warm clear, incandescent lights look very similar to the candlelight LEDs in the office, which I love. I still buy incandescent light bulbs from the Dollar Store (the only place I can still find them) because I can’t find LED bulbs I think are soft enough. The LEDs on my office tree are perfect- not too orange, not too white. 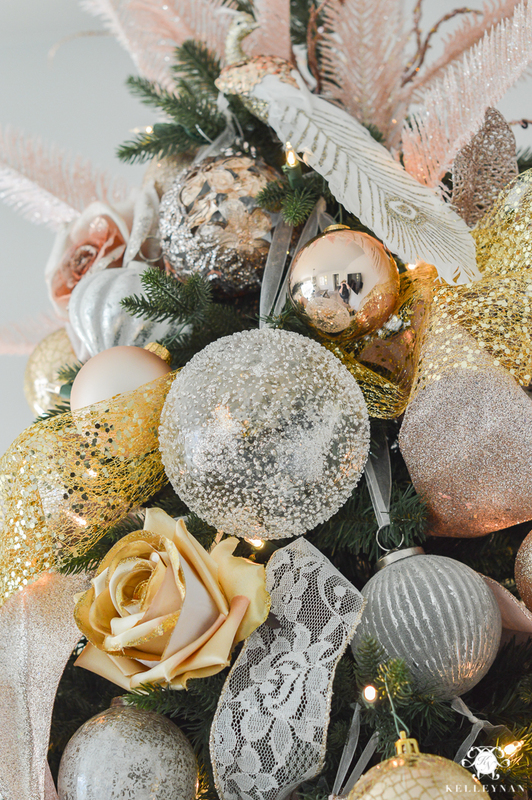 Here is the proof how some ribbon and florals can completely change the appearance of two trees. 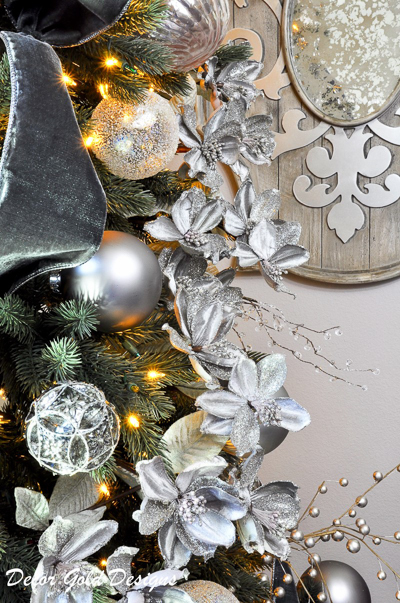 Even thought I knew I wanted to go in two directions for each, I wanted to stick with neutral ornaments. Those are the pieces that can be used year after year, and with a slight accessory adjustment, take on a whole new look. 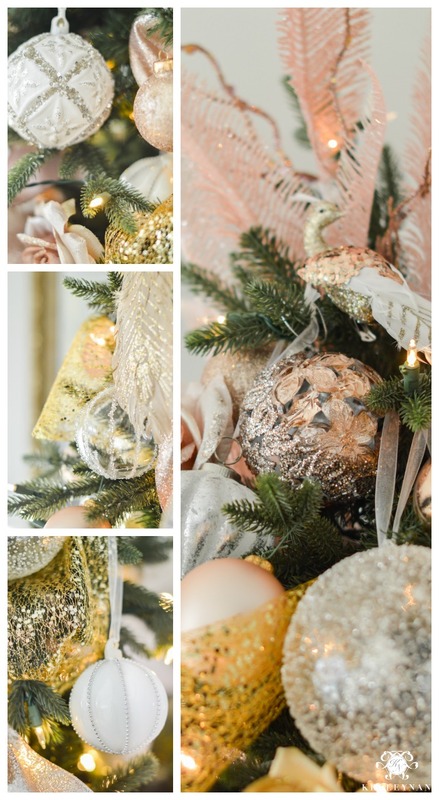 As with the blush tree in the office, I used the same ornament collections. 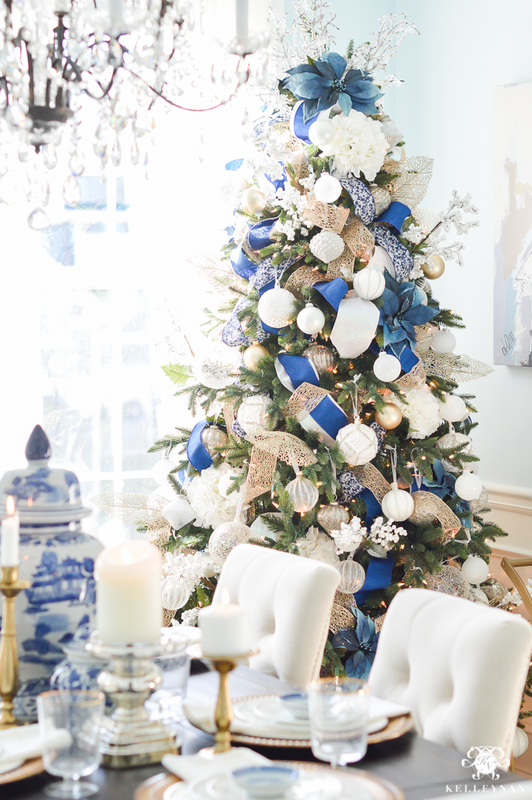 I’ll be sharing my full Christmas dining room next week during my home tour but was thrilled to be able to achieve a totally different look from last year by using blue and white I already had throughout the rest of the room. 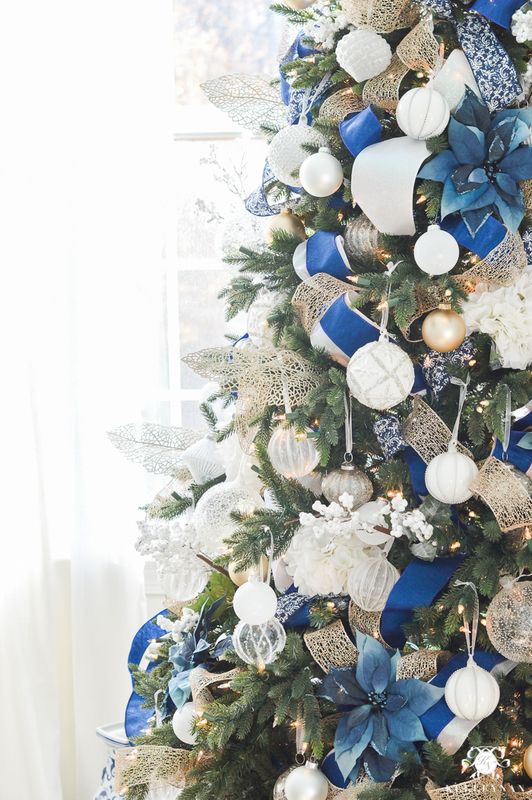 If you are looking to create a unique, custom tree, don’t limit yourself to ribbon and picks in the holiday aisles. 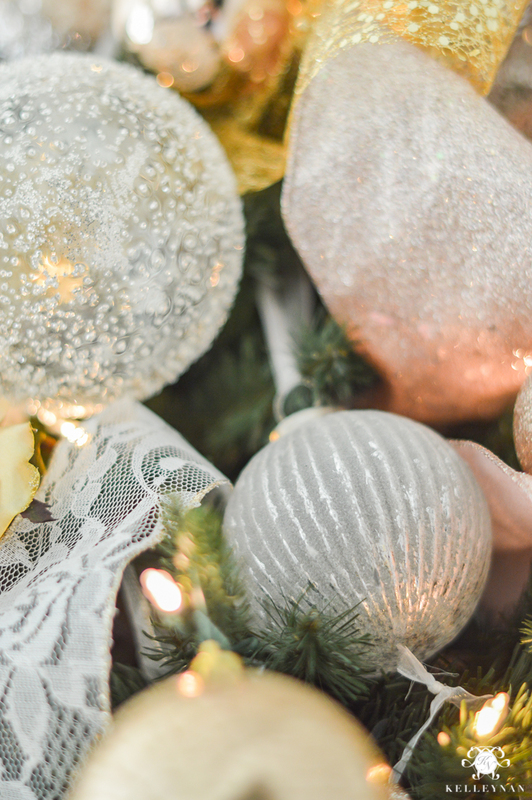 ANY colors can be “Christmas colors”; push your creativity and venture outside the expected that’s been gathered up and placed together. 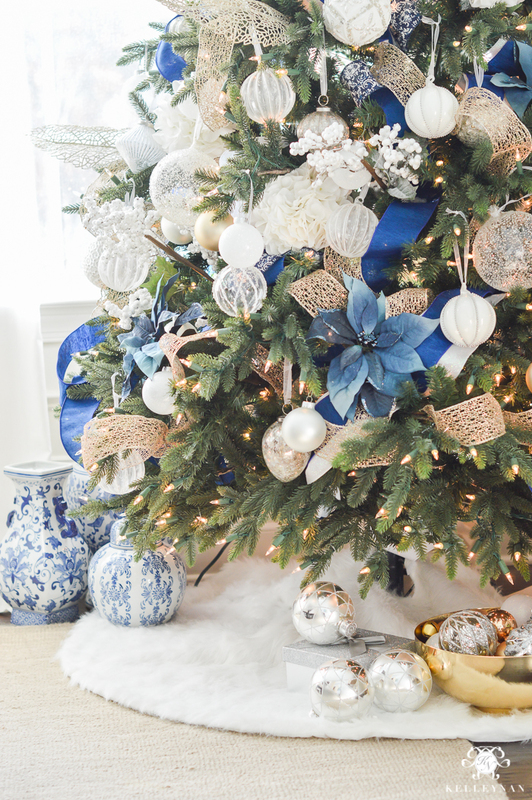 Stay tuned for more trees (and the whole Christmas house) to roll out next week! I’ll be showing my full home, including more details of these rooms next Tuesday 😉 Do you have a favorite tree look? Let me know in the comment section below! 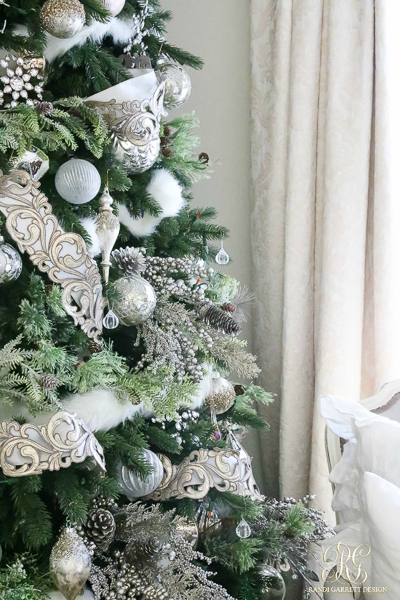 Then, head to my neutral, sophisticated, glamorous friend Randi’s home at Randi Garrett Design to check out how she styled and beautified her two trees. Here’s a little sneak peek of what she has in store. And, make sure you don’t miss the other two homes in the Parade. Here are two gorgeous glimpses. Click HERE for full dining room sources. Click HERE for full office sources. 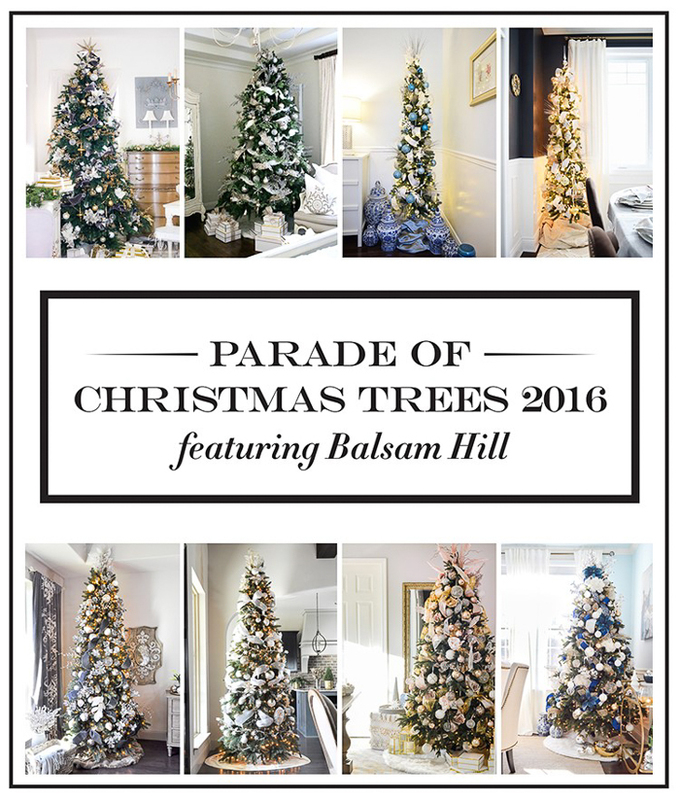 Thank you to Balsam Hill for partnering on the Parade of Christmas Trees. As always, all opinion are my own. Kelley, you trees are stunning! I love the split image with both trees! Incredibly beautiful!!! Just beautiful! I have recently started following you and am LOVING all the inspiration you provide!!!! Absolutely breath-taking! So pretty during the day and I can only imagine how gorgeous your home is in the evening! Another beautiful Christmas in the Lopez home! Can’t wait to see more! Love them both! How wintery and full they look! 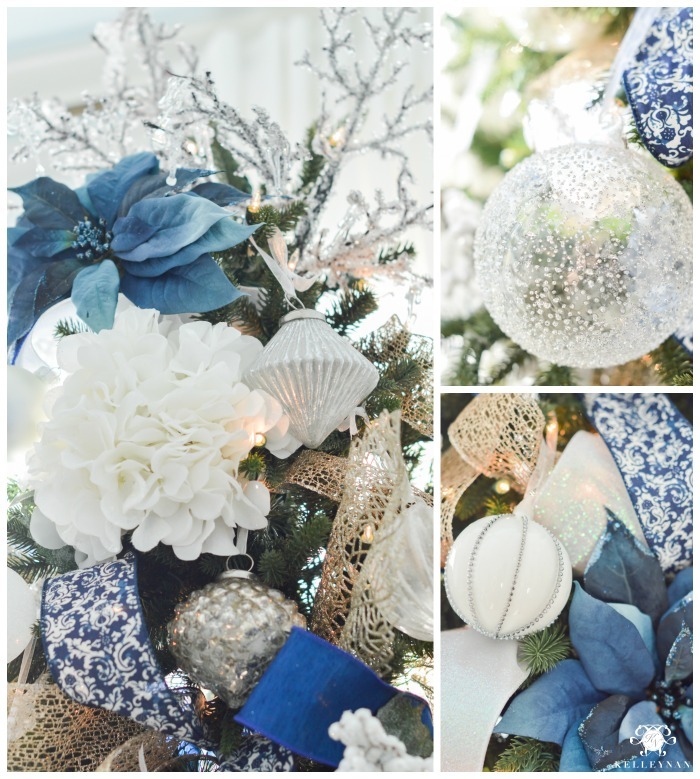 The ribbons and ornaments…but my favorite is the blue poinsettia! I have some white ones to put on my tree but they aren’t as large as yours! 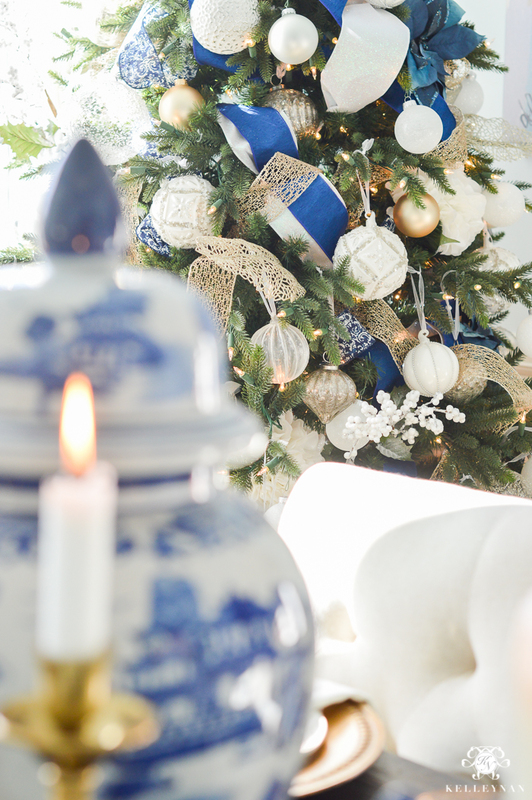 And the blue color…love, love, love it! Will have to look for some like them! 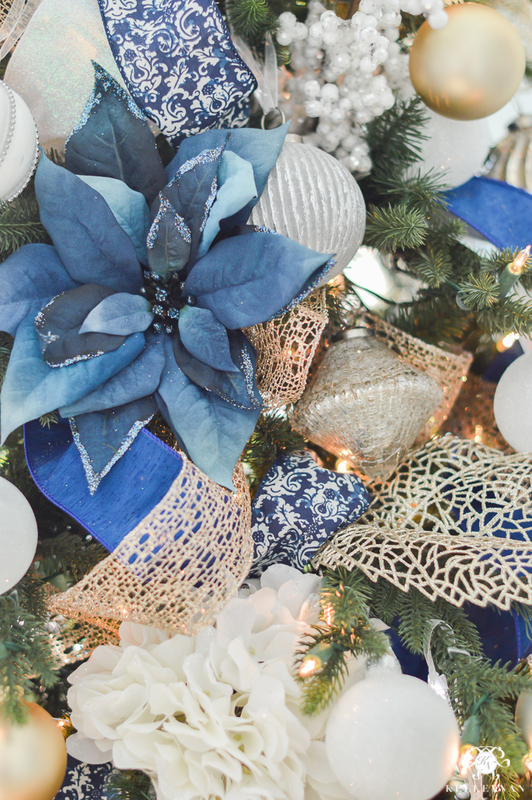 I’ve been looking for the blue poinsettias every where. Can I ask where you got yours? Hi, Lacie! I found them at either Michaels or Hobby Lobby last year. LOVE them both – just stunning! Thank you for sharing these beautiful trees! Linda, thank you so much! I loved doing each of them! You are the best! Thank you so much! LOVED doing this with you, sweet friend. You knocked it out of the park! I absolutely love your beautiful trees, and in fact I love everything you do! I so look forward to reading each of your posts! 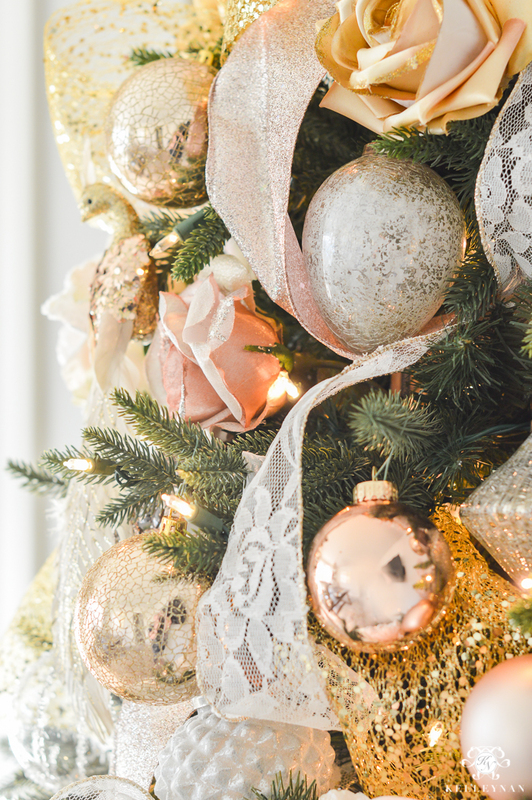 I would love a tutorial on how you put the ribbon on your trees! The side by side was a great way to see both at once! 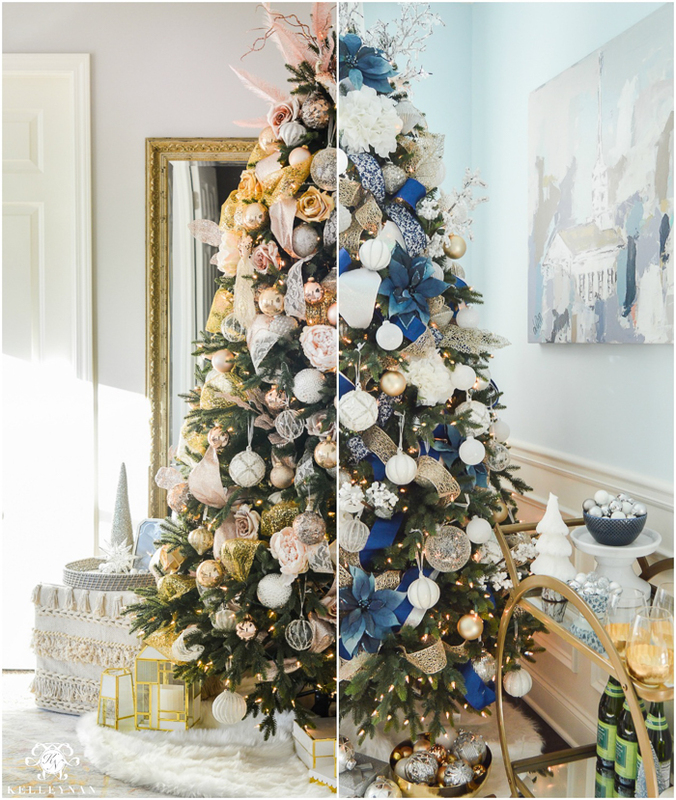 Both are stunning – dang Balsam Hill makes a stunning tree… and your decorating amps it to the next level. Oscar, thank you so much! Your comment tonight made me literally LOL. I can’t wait to see all you do- you are like no other, friend. Loved how you did the split pic. What a great idea! Both trees are gorgeous but my favorite is the one in your office. You went girly, which I adore, so I think is absolute perfection! I would stay in that room and work & work & work 🙂 You give so much inspiration to others which makes me smile 🙂 Beautiful job! Where are your beautiful roses from? I too would love to see a tutorial on decorating especially with the ribbon and in what order you put things on. Looks gorgeous. Thank you! I found them at Michaels… I am getting a lot of questions on ribbon so I need to post something! Summer, you are the best and yes! Michaels was on point with their blush this year! Merry Christmas, sweet friend. 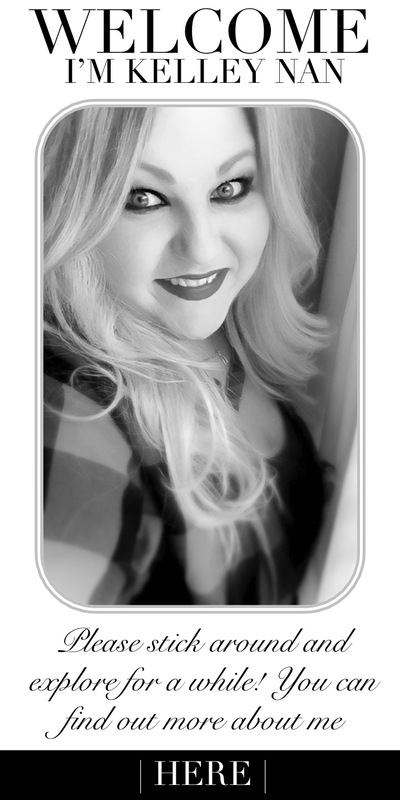 Bree, thank you so much- I think that one is my fav too. Ironically, Dave likes the blush one best! haha- SO excited for the morning!! 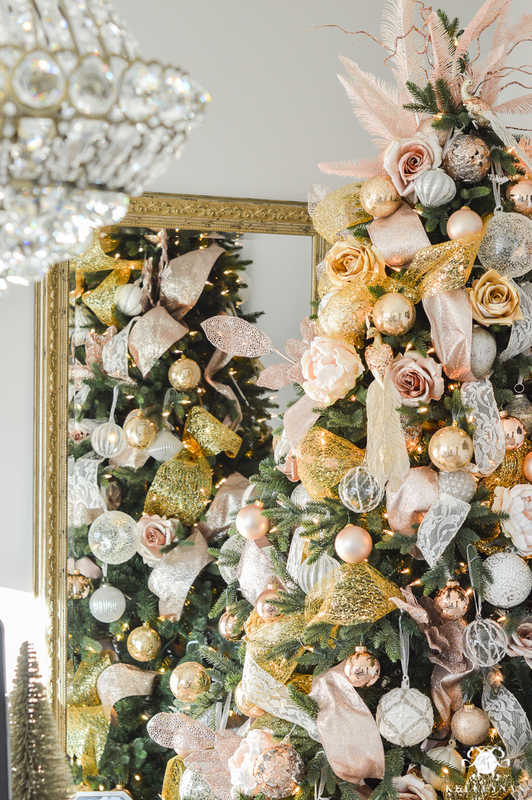 The blush tree is gorgeous! 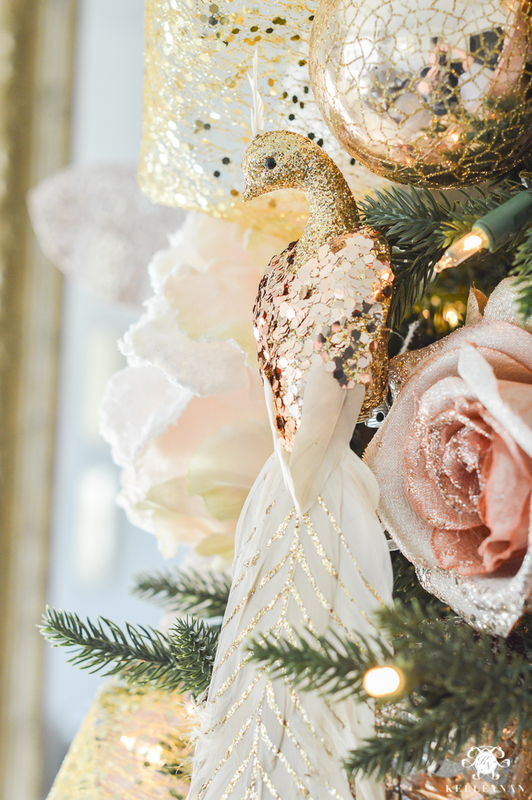 Where did you get the lovely bird ornaments?? 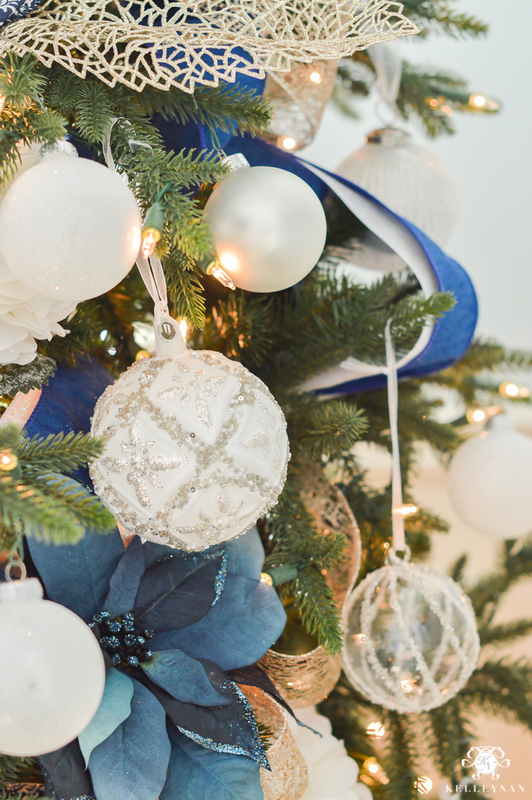 I have loved following along with all you share…BUT this might be my favorite yet! your trees are stunning, the attention to detail exquiste! I love how you did the ribbon- looks full yet simple but intentional and planned, not random, I need a lesson – do you make house calls? 😍 I live somewhat in the area…. Can’t wait to see your other trees. Request tho- don’t make me pick a favorite! Love both trees! 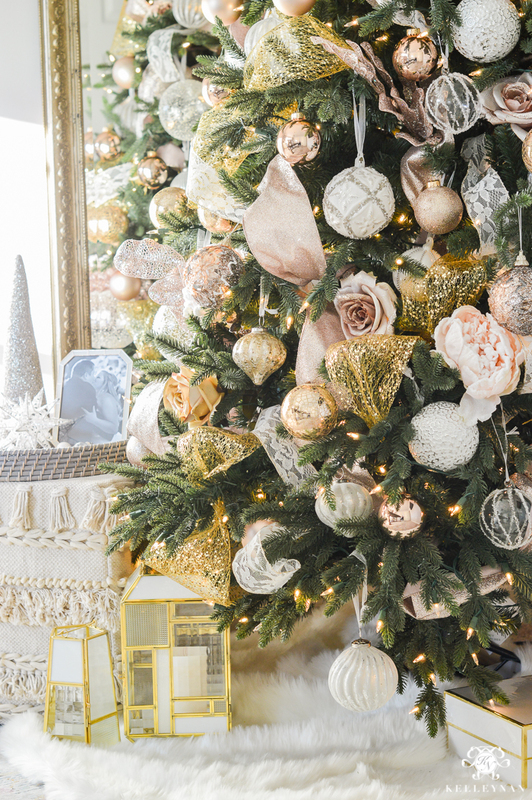 And your office, which already looks fantastic, is even more wonderful with that tree in blush tones! Can’t wait to see the rest of the trees and the house all decorated for Christmas. I love your trees! Where did you get those blue flowers?! Wow, Kelley you have a real creative gift. 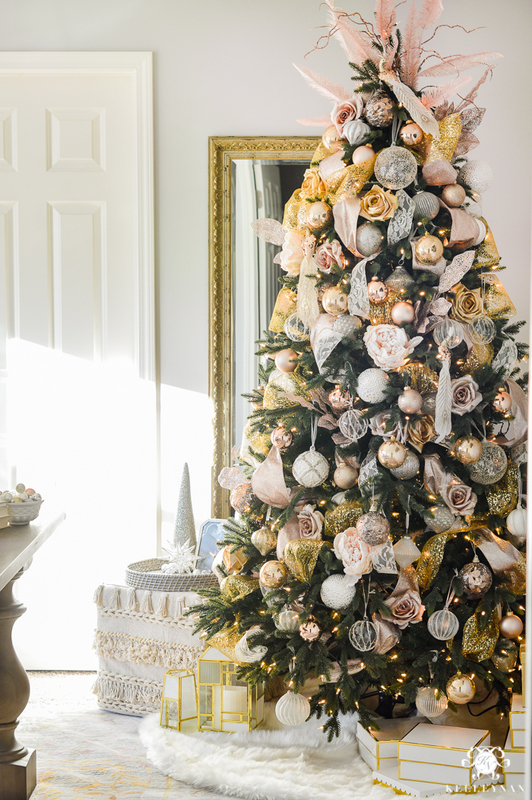 You’ve created two absolutely stunning Christmas trees. 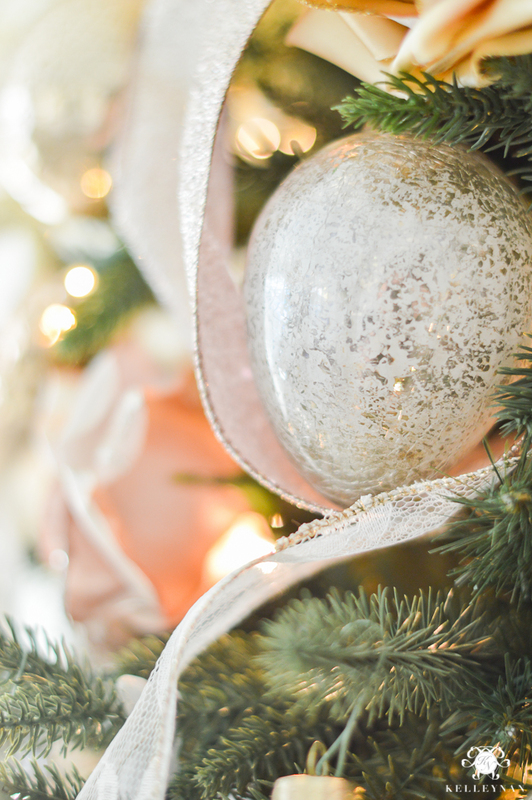 I’m new to your blog and scrolling through so you may already have one but if not I would so love to see a post on how you actually go about decorating your trees. I never even know where to begin and my tree is sad in comparison! Victoria, thank you! I have had a lot of questions (especially on the ribbon) so I have put it on my list to make sure I do one EARLY in the season next year! 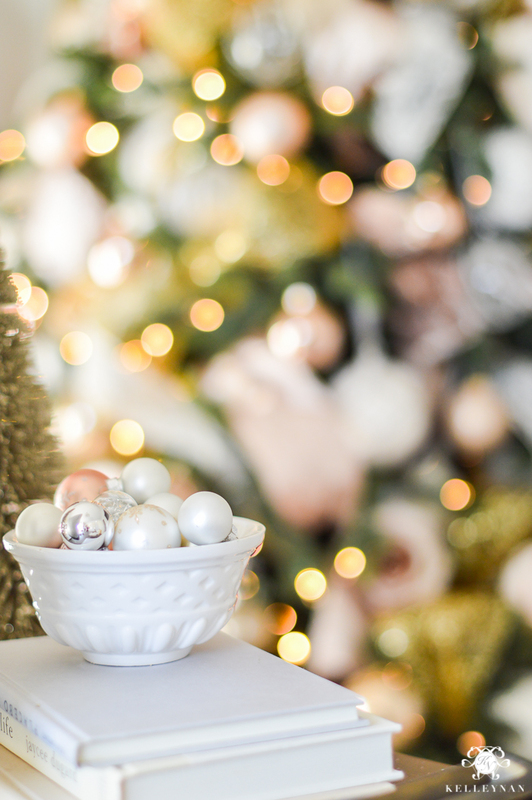 Will you be doing a ribbon tutorial for Christmas 2017?